Carly’s Contest: e-ARC Dare to Surrender! I’m giving away ONE e-book copy of DARE TO SURRENDER before it’s available on 7/15! Giveaway located below teaser graphic and PS info! Can’t wait for new Dare book! Love a chance to read one of your books for free! I’ll read it anyway! I cannot wait for Dare to Surrender to come out. Hope I am the lucky winner. :yourock: Thank you for this. Love reading carly Phillips books. Can’t wait for dare to surrender. I can’t wait to read this book, it sound like a book that you don’t want to put down.Thank you for this contest! Looking forward to a new Dare book! :dog: Hope I’m in the running to win! Congrats on your new release! It would be great to win. Love all your books and series. Where do you get your hot plot ideas from? thank you for your contest; happy friday the 13th and a full moon to boot!! won’t occur again til 2049??? or something like that. guess i should enjoy this last one!!! am in my mid-60’s!! This ia awesome! Thanks for the chance. Would love a chance to win a copy! I’m so looking forward to a new Dare book. Thanks for the chance to win. I cannot wait for Dare To Surrender. I just finished rereading the other two. All I can say is “yum”! :snoopydance: I can’t wait for Dare to Surrender !!!!! Thank you for the contest! Can’t wait to read this one! thanks for the fun giveaway! I’m so excited for a great weekend already! College World Series starts here in my home town and it’s always so much fun. 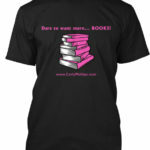 You know we love your books! entered cant wait to read it. Wonderful gift, please count me in. Would really like to read Dare to Surrender. Thanks for the chance. Yeah! Thank you for the chance. Oh I SOOOOOOO hope we hit the number for tees! I’ve ordered mine and am hoping to wear. :glasses: It was a great idea!! I’m loving this series, can’t wait for this one. Thanks for the giveaway! Hope I win. I could use some good news. Happy Friday 13th! Thanks for the giveaway! Would love to win this one. Welcome back Carly! Love your contests. Would love to have this for my Nook! Can’t wait to read this book!! Would love to win an ARC!! Thanks for the chance. Can’t wait for Dare to Surrender! 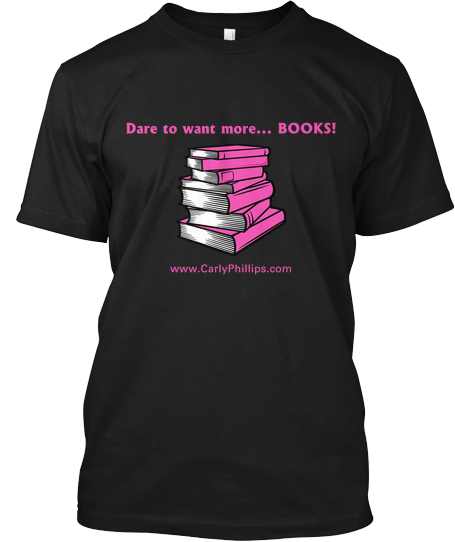 Love the Dare to books! Love your blog, love your books. Looking forward to what I am sure will be another great read. I liked your Amazon page a long time ago, Carly, and don’t know my number. 😉 Thanks for the great giveaway. I’ve been reading your books for years. Love them! Can’t wait to read this one. I’d love to win, thanks so much for the chance. Love the sound of this book and can’t wait to be introduced to a new drool-worthy hero! oops didn’t mean to do three comments. Sorry! I can’t wait! I love this series! Love to enter haven’t won. But still is fun to try. Yes, so excited for the new book and thanks for a chance to get an early copy. I LOVE LOVE LOVE your books!